Have you ever looked closely at Caribou antlers? These things are the Portuguese of the antler world, they've got all the accents. From the side they make an uneven W with the longest branch running towards their backs and then up like elk antlers. A middle branch reaches out to the side like deer and the shortest branch runs along their foreheads towards the front of their face. On the branch forward one side looks much like the back with a small fan and a few tongs, the other side tends to be just one sharp tong pointed forward. They have the sword and the shield all built into one elaborate head piece. We'd just put up the tent in a site with some serious trade-offs. It's windy and very cold so in spite of the lumpy, slippery, lopsided ground we've pitched our tent up against the only protection this open tundra has to offer; a glacial erratic boulder that appears to also be toilet facilities for the local hoary marmot population. As we quickly set up before the rain down valley hit us we saw a set of antlers up on the ridge just across the lake from us. I'm peering through the binoculars while Tim is training his camera on the ridge. As we look more and more antlers and hooves are making their way casually over the ridge. A group of caribou are nibbling at the ground and appear to be headed our way when the rain picks up and we duck inside for cover. The rain comes and goes in big and light spurts so the next break we get we try to see if the caribou are still there. Not only are they still there but they've come to the side of the lake. Occasionally they look over our way in an acknowledgement of our presence but in true national park status they don't seem too put off as to be scared away. This is Alaska though and somewhere in this park these animals are up for subsistence hunting. The rain picks up again and we reluctantly zip back up. We imagine that our next tent will have a window and imagine the caribou strolling right by, under our noses, and we'll miss the whole thing. We imagine the sounds of their giant hooves clicking on the rocks nearby. We imagine hearing their grunts because that's how close they'll pass by when we're zipped up with the sound of the rain on our tent concealing their movements. Another break in the sky, I unzip and they're gone! Tim unzips his side and there they are just across the lake again, having gone right by us just like we imagined! There are approximately 700,000 caribou in Alaska broken up into herds of various sizes. Herds that have long migrations to well chosen calving grounds have the big numbers. Herds that are much smaller in size tend to migrate in elevation with the seasons. Caribou have a special enzyme, lichenase, in the stomach that allows them to break down and ingest all the protein available in lichen. Lichens are a favorite food for the caribou and an important winter food when little else is available. After a fire caribou will steer clear of the burn area for up to 60 years, the amount of time it takes for a lichen to grow back in large enough quantities. Walking on tundra if you are lucky feels like walking on pillows. If you're unlucky and especially if it's been raining all day it's feels like walking on wet pillows. Caribou have considerably large hooves perfect for carrying their bulky bodies over not only the squishy tundra but the deep snow that accumulates for half the year in this north country. 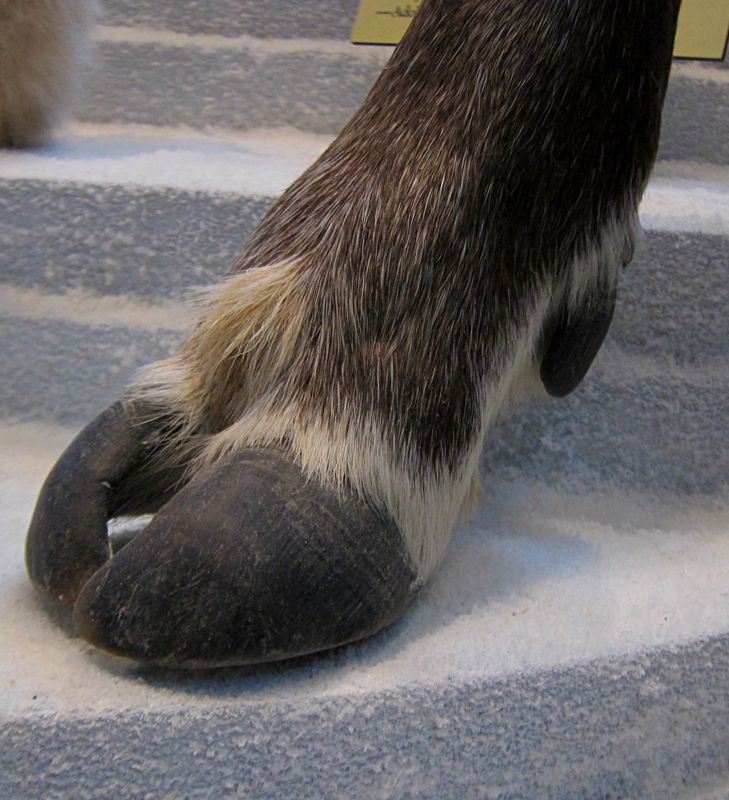 Even though they are roughly half the size of a moose their hooves are almost as big. The morning after we saw the caribou we walked across some mud flats where the hoof impressions rival those of my boots. Many days later while driving the Denali Highway westward we spied a caribou rack sticking out the back of an ATV. It's the beginning of hunting season and all are stocking up for the long winter months. 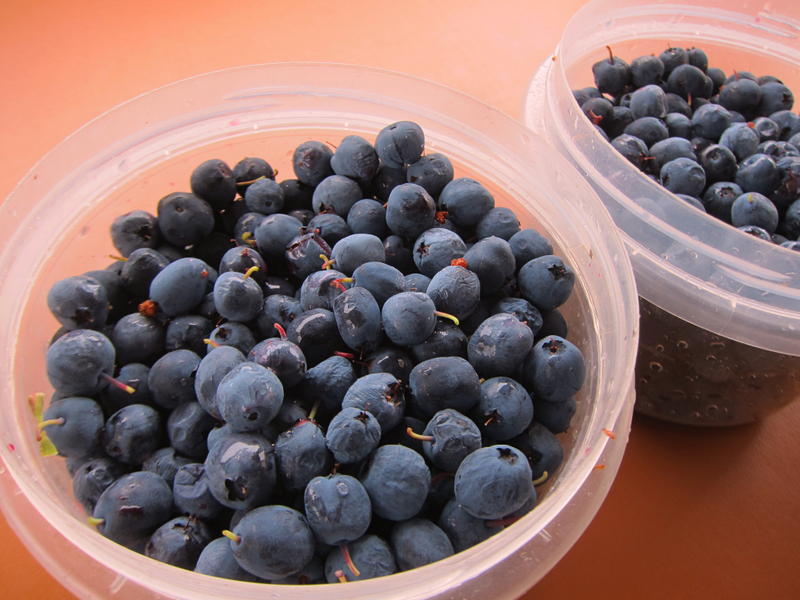 In mid August the still long days only serve as a reminder that there was a summer. The bushes are beginning to yellow as autumn shows it's face. 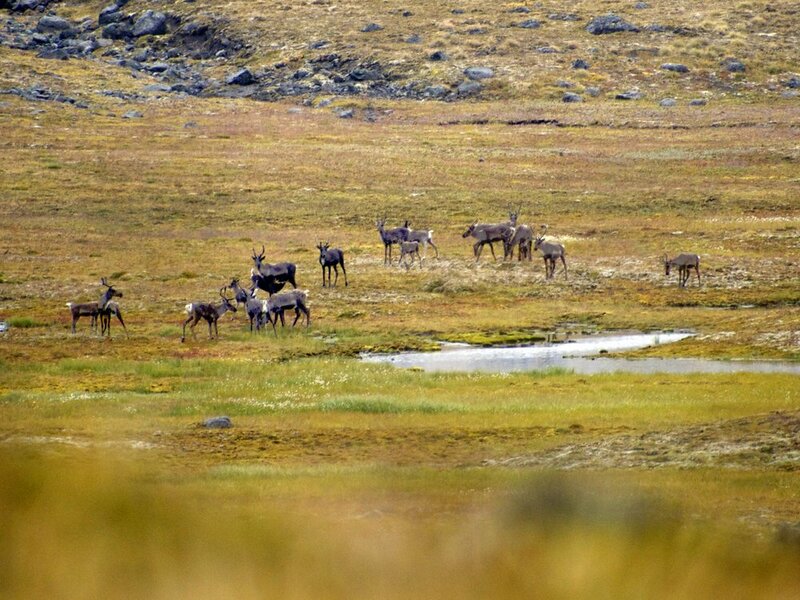 Autumn is also time for the caribou rut. The males who have spent the summer growing their ornate antlers will put on a good show for the ladies before dropping them for the winter. Female caribou grow antlers as well but do so over winter. The females drop their antlers at their calving grounds in spring. Earlier this year I learned how antlers are an important source of protein and calcium for small mammals and thus why the world is not covered in shed antlers. Recently while listening to a podcast called Encounters with Richard Nelson* on the topic of caribou he mentions that the small mammals then defecate the extra nutrients from the antlers which goes into the soil for the plants to absorb. At the calving grounds caribou eat the plants which contains the calcium from last years antlers just where they need it to be for rich mother's milk and thus the cycle is complete. Traveling like this is an embroidery of information. Not one environment or one visitor center has it all. The more I've learned the more amazed I am, the more I see the embroidery for its stitches. Richard Nelson said it in reference to the cycles of the north but I've enjoyed this to be true where ever I've made a point to learn about the natural world, we really are “in the midst of miracles”. *I can't recommend this podcast enough. Richard Nelson has an infectious enthusiasm for life and for Alaska. Many of his podcasts are so engaging and filled with useful information that we've listened to them multiple times.